Fresh wonders of space exploration continue to awe and inspire artists. 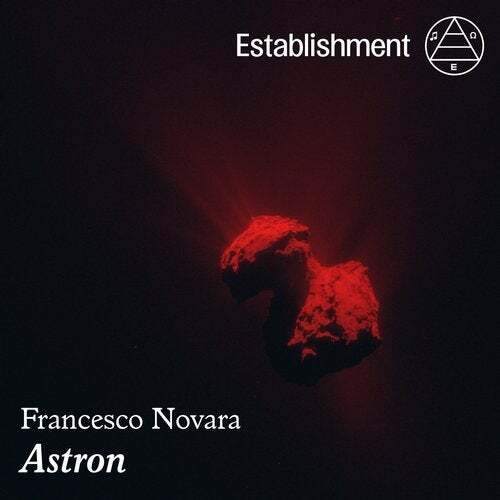 In a fresh downtempo release, Italian composer Francesco Novara delivers an EP fabricated from just two sound samples of a European spacecraft that visited (and landed on) a comet. It marks a unique collaboration between record label Establishment and the multinational European Space Agency ESA. (CC) Franceso NovaraEstablishment RecESA, based on a sonification by TU BraunschweigIGEP & Manuel SenfftNovara has honed silky-smooth virtuoso production craft on prolific work for TV and film. He shows off that prodigious talent by weaving every sound in the entire release from a single sample of sonified data from the spacecraft Rosetta. The raw materials for every pad, every drum sound, every melody in the album is derived from the oscillations in the magnetic field of the comet a kind of comet song found by scientists reviewing the data. (There is just one other sound source - a snippet of radio chat marking the end of operating Rosetta. )But the music is far from academic. The resulting grooves have the cool, collected self-assurance you'd expect from an astronaut mission commander. The album tells the saga of a mission in four tracks, recalled in chilled out, precise electronic cinema. Far from the drugged-out or dystopian spaceflight music of the past, this is 21st century technology, efficient and dazzling.Then, Novara delivers a surprise pop single in Ready to Fly.